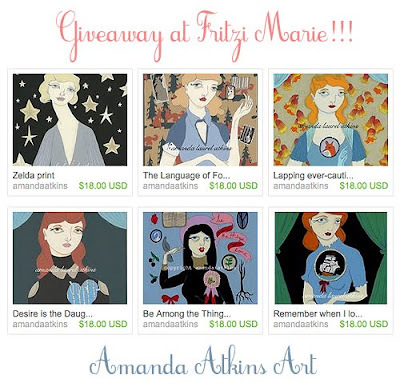 Oh, goodness...my beautiful friend Katrina from Pugly Pixel has motivated me to pick one more winner for The Friendship Giveaway honoring Amanda Atkins. I'll pick a second winner Wednesday night (February 10th) . p.s. Go ahead and enter if you haven't yet here. haha, you are so adorable!!! oh my goodness, Kat. i just re-read your 2/2 giveaway post and misunderstood the expiration for the giveaway, which was last sunday, 2/7 and not on Valentine's Day! i'm so sorry, Kat. No worries, it just makes the giveaway more fun.